This week, 16 teams from across the world met in a remote field in Outback Australia to see whose autonomous flying robot was the greatest. The UAV Airborne Delivery Challenge has run every year since its founding in 2007, part of a wider set of competitions to innovate and educate. Shortly, other teams will be competing in the "Medical Challenge" (a sample and retrieve mission) but this first challenge is one of pure delivery: get the vital medical package to Outback Joe, unbroken. On one attempt to deliver Outback Joe's life-saving pen, we all watched the payload drop on a perfect arc, lined up to nail Joe right in his hat. At the last possible moment, the drogue parachute popped open and then a random gust of wind carried it meters off course, backwards. There was one of those collective "awww"s from the audience. No one likes it when good engineering is foiled by mere luck. Real Epi-Pens are fragile, so the part in the trial is played by an accelerometer package that alerts the judges if a maximum G-force is exceeded. Land too hard and you broke your "medicine". That will cost you points. There are other strict limitations. There are tall barriers which simulate the tree cover that nature-hikers have the irritating habit of getting lost in. 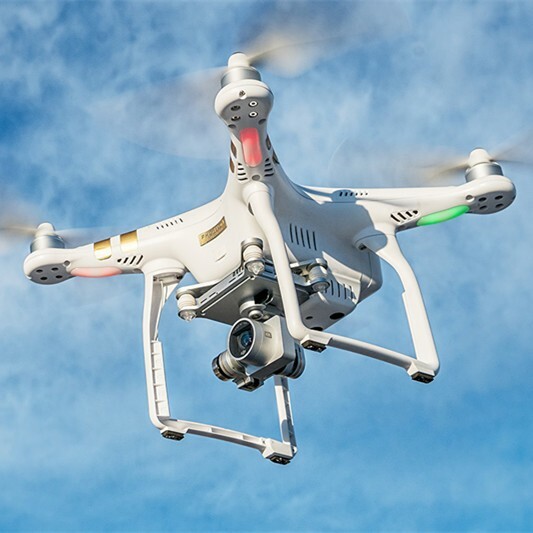 There’s also a minimum speed requirement, meaning that the drones are not allowed to hover for the drop. Long story short, you can’t just nail Joe between the eyes with his medicine and run, you can’t loiter with the tube on a string, and you can't simply land. It’s a bombing run with a drone delivering a candy egg that needs to land unbroken. The Woodward Academy team (all the way from Georgia) was having problems with their payload landing too hard. Last minute fixes had to be concocted. Straws, packing foam, their test accelerometer itself was tested suspiciously. Eventually, they used the payload as a “piston” in a larger tube, effectively turning empty air (the most readily available material) into a shock absorber. They probably had the nicest single machine. The Matrice is DJI's development platform—I had not seen one before and I may have drooled slightly. The Calumvale Predators (a local team) had 3D printed their entire airframe, everything except two fibreglass plates. (They hate waiting for parts, too.) I held one of the prototype arms, expecting the usual heft of an ABS print, but it was as light as carbon fibre. They must have used ridiculously low infill, or possibly a new material. Also, they’re the only team who politely offered me a chair for the brief interview. I, of course, remained totally unbiased. I merely have to figure out if it was from some weird cultural respect for journalists, or if I really look that old and decrepit to them. Oh, surely I mentioned all these competing teams are school-age children? Some of these kids are as young as 12. Some of the “older mentors” haven’t started senior year of high school. There was one group I entirely failed to interview because a legal guardian wasn’t present to give permission, so they just had to go back to building their flying autonomous life-saving medicine delivery robot system. If these kids are the future of robotics, then we’ve got some wild times ahead. The local Australian teams were as varied as can be. Quads, Hexes, Fixed wings, Modified Phantoms, an old beat-up Skywalker, Hobbyking parts in all their garish colours, packing tape and wood. It’s not possible for me to do justice to all of them in the space allowed. They’re a small army of robot-building awesomeness. There was a definite similarity among the local contenders, a kind of engineering bricolage, odd pieces from whatever worked. Tangles of wires and motors that looked alternately too big or too small to be sensible. Stuff I did not recognize hot-glued to canopies and undercarriages. Hot glue, itself, used as a structural material. These things should not fly. But, of course, they did. I felt a little sorry for the international teams. They came a really long way to a field in the middle of nowhere and there was an army of robots waiting for them. Even for people who love robots, that's a bit harsh. Day 1 ended with all the teams having flown their “proving” tests under manual control. No one failed to get airborne, no one crashed and burned, and no one made the Judges frown and quote CASA rules. That's an achievement. After everyone else left, the Woodward Academy team from Georgia stayed behind, checking their autonomous systems, doing the “DJI Dance” to calibrate the magnetometer, and running tests on the empty course. They’d come a long way and were determined to win. And they’ve got a beautiful machine. The Phantom Soldiers! One of three teams from the Knight High School in Palmdale, California. By a clear 10 points! Their autonomous drops had been the most accurate and every package arrived safely under the G-limit. Oh, and there's some humans who helped. The winning team, the Phantom Soldiers. Image courtesy of Stefan Hrabar/ CSIRO. The winning drop! Image courtesy of Stefan Hrabar/ CSIRO. If you're wondering.. the side-plates are to stop the wind interfering with the release mechanism. Yes, that's a board camera feeding an FPV transmitter/antenna on the side and an extra battery and receiver stacked on top. A thing of Borg-like beauty! And the victor of the 2016 Airborne Delivery Challenge!